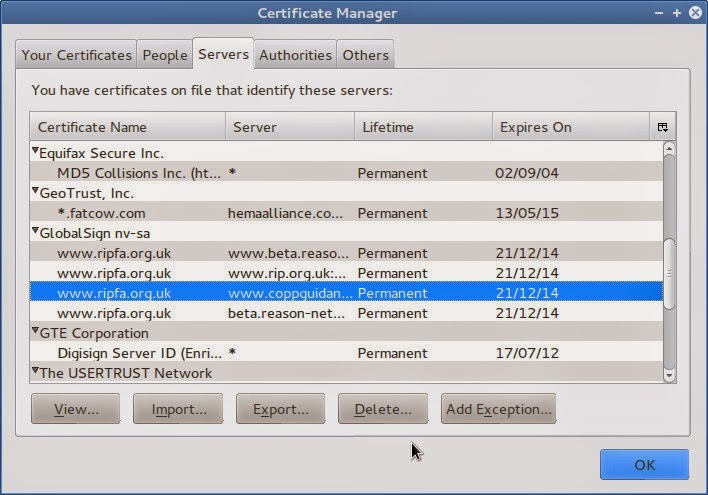 Certificate exceptions are found via the Edit menu, under Preferences, Advanced. 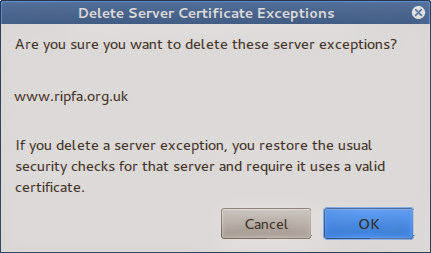 The last of the tabs in the dialog is for Certificates. Select the button View Certificates and it opens a further dialog for the Certificate Manager (didn't know you had one?). In a further set of tabs, you select Servers, since SSL certificates are all server-based.